Hands on with the OPPO A7 smartphone. 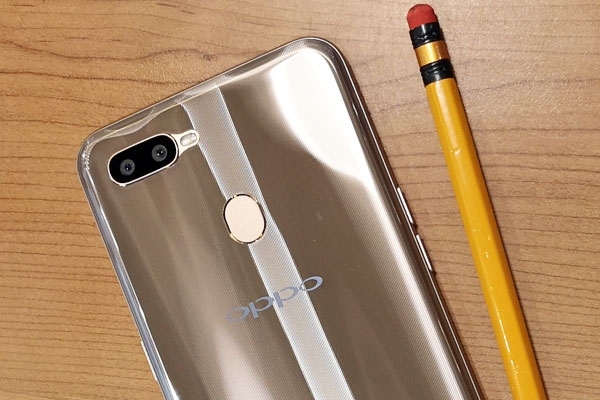 The OPPO A7 is a more affordable alternative to the OPPO F9. It has the same waterdrop display, long-lasting battery, and a very capable selfie camera. It can also be used for playing games but with obvious limitations. Let’s explore more of the phone’s advantages and disadvantages in this full review. Look at that waterdrop notch! The 6.3-inch of the OPPO A7 is bright and responsive to touch inputs. 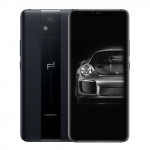 The small waterdrop notch and narrow bezels on all four sides also make the device look modern with the bottom bezel being the thickest. Since the screen’s resolution is HD+ only, pixels can be discerned upon closer inspection. On the positive side, it uses lesser battery power than full HD displays. The phone’s back has a striking design with vertical lines and gold trims around the camera module and all around the sides. It can look like glass but it’s just a glossy plastic material. It still looks good and produces beautiful sheens when hit by light. Overall, the OPPO A7 looks good both at the front and back. One of the best assets of the OPPO A7 is its 16 Megapixel selfie camera. 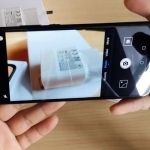 It resides at the center of the phone’s waterdrop notch. Its default setting is having the AI beautification feature turned on. It removes blemishes from your selfies and improves the overall look of faces but it’s too much for my tastes. Turning off the AI beautification makes selfies appear sharper. But setting it at “1” produces the best results with less blemishes but natural-looking faces. However, selfies in dimly lit environments appear grainy. The screen flash feature helps but it’s not enough. There’s no front LED flash nor even a simple LED notification light. The OPPO A7 has the potential to be another great selfie smartphone but only in environments with good lighting. 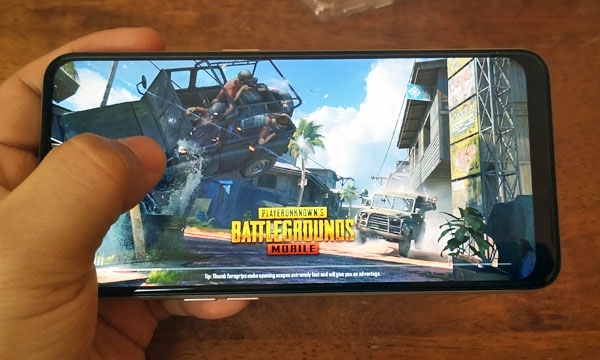 Playing PUBG Mobile on the OPPO A7. 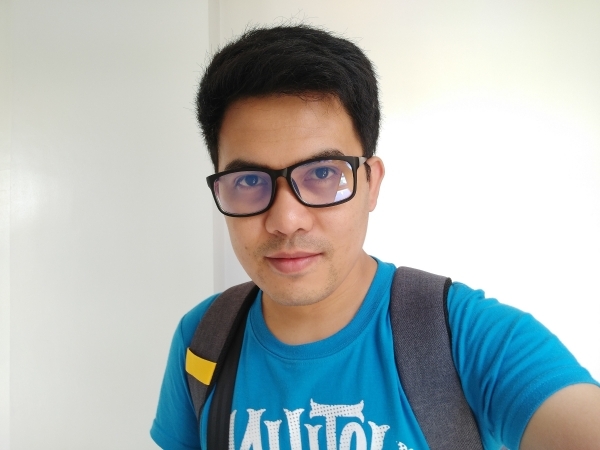 If selfies are the best aspect of the OPPO A7, it’s performance gave me mixed feelings. Its user interface is smooth such as when browsing the web, using social media apps or watching videos. The only issue is in its gaming performance. There’s no problem with casual games but heavy games can only run smoothly at low to medium graphics setting. Anything more than that and lag begins to appear. OPPO’s software enhancement for games have a slight effect but it’s not enough to augment the processor. Thankfully, the ample 4GB of RAM helps in keeping the phone smooth when switching between apps or games. 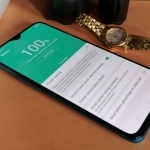 It scored an average of 71,000 points on Antutu Benchmark v7.1.4 – that’s a pretty good score! Meanwhile, I measured the phone’s performance while running some popular games by using an app called Gamebench. The OPPO A7 has a dual rear camera system composed of a 13 Megapixel main camera and a 5 Megapixel depth sensor. 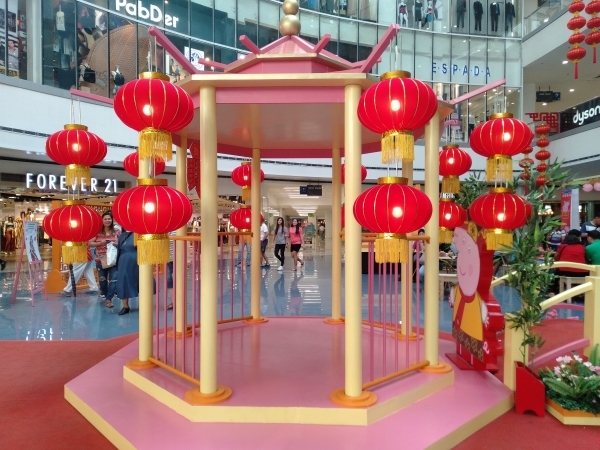 It can produce good looking pictures and videos in daylight scenes. Photos look sharp while colors look natural although dynamic range can use some tweaking. The seconday camera is only used for bokeh effect in Portait mode and it’s a hit or miss. The background blur looks smooth but edge detection shows obvious limitation. Low light pictures can also look good but it needs more effort since they tend to be grainy. Thankfully, the LED flash helps a lot in night time photography. 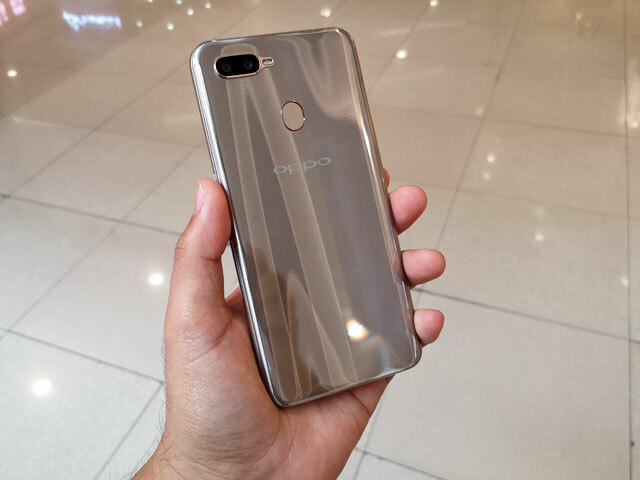 The OPPO A7 has a triple card tray – two for nano SIM cards and one for a microSD card. Both SIM cards are compatible with 4G LTE networks and mobile data speeds are great as long as the cellular signal is strong. Wi-Fi, Bluetooth and GPS also work well. However, the phone uses a micro-USB port for wired connectivity via USB OTG. Meanwhile, audio quality during calls is okay when using the phone’s earpiece. The loudspeaker is a bit on the tinny side but with a small hint of bass. There are two “biometric” unlocking methods on the OPPO A7 – fingerprint unlock and face unlock. 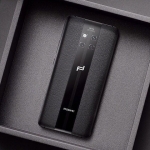 Its fingerprint sensor is located at the back and unlocks the phone swiftly. Fingerprint recognition is spot on and the sensor supports several fingerprints. Meanwhile, its face unlock feature only uses the phone’s front camera and lacks the more secure infrared sensors. Nevertheless, it can still provide a convenient unlocking method in well-lit environments. Battery life is one of OPPO A7’s major strengths. With a massive battery capacity of 4230mAh, it can last almost two days on a single charge. This is with casual usage while the phone lasts around 7 to 8 hours with continuous gaming. Charging is a bit long though. This is to be expected in phones with big batteries. The OPPO A7 uses a 5V/2A charger and it achieves a full charge in 2 hours and 30 minutes. 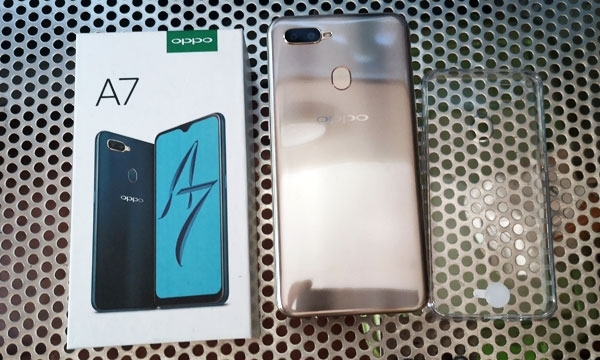 The OPPO A7 with its box. The best features of the OPPO A7 are the modern design, high resolution selfie camera and long lasting battery. 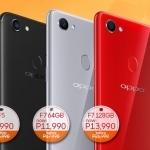 If the OPPO A7 had a price under ₱12,000.00, it would be easier to recommend. However, its ₱13,990.00 official SRP pits it against some tough competitors. 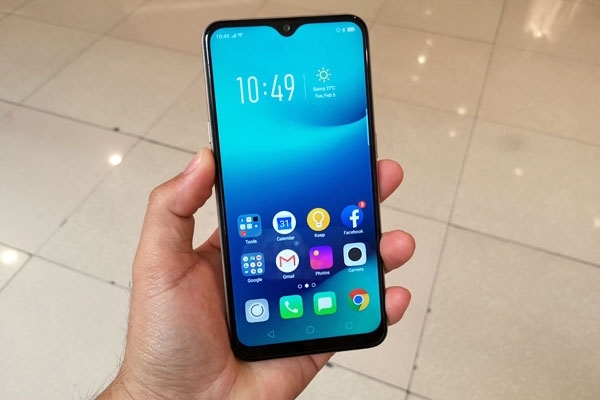 The OPPO F9 might even be a better alternative since it’s already more affordable by ₱2,000 right now compared to its original price. Average rating of 3.3 stars from 23 users. The OPPO A7 has a modern design, high resolution selfie camera and long lasting battery.